Pitit Desalin (PD) a coalition of well-regarded democratic organizations, has rejected an invitation to meet with Haitian President Michel Martelly to work out their differences. Ironically PD leader, Assad Volcy, has an arrest warrant against him issued by the government, and is bemused by the invitation. Opposition parties Fanmi Lavalas (FL), Inite, Fusion, and Kontrapep have been reluctant to pursue talks with Martelly after repeated invitations from him. FL in particular has not considered Martelly's overtures a serious move to reconcile their differences. 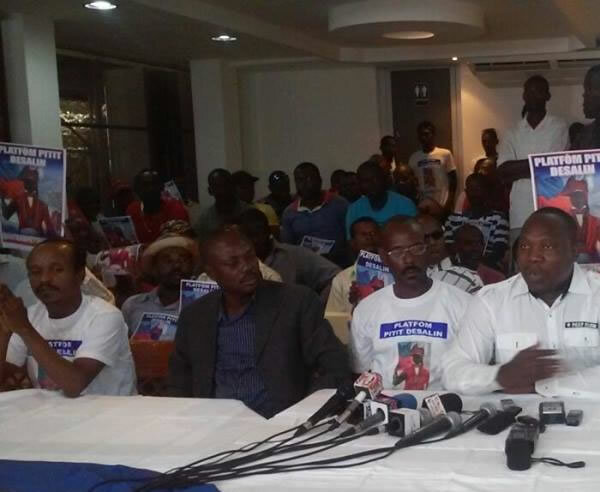 The Patriotic Movement of the Democratic Opposition (MOPOD) has also turned down an invitation to meet with Martelly. Leaders consider the offer too little, too late. Martelly, acting on another recommendation of the commission, has released 36 political prisoners to activist attorneys Michel Andre and Newton St. Juste. MOPOD thinks this is not enough and intends to bring legal action against Martelly for capital human rights violations. They also want the National Fund for Education audited for possible corruption activity.